NHL player who won the silver medal at the World Junior Ice Hockey Championships in 2011. 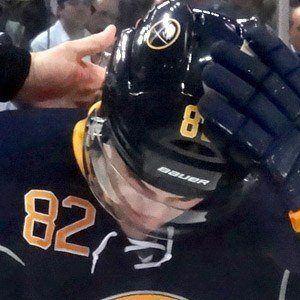 He made his NHL debut with the Buffalo Sabres the same year. He grew up in Sudbury, where he played for the Sadbury Wolves as a junior hockey player. He was named NHL Rookie of the Month in March 2012. His father is former Buffalo Sabre Mike Foligno and his brother Nick Foligno also became an NHL player. He and fellow NHL player Taylor Pyatt both played junior hockey with the Sadbury Wolves.